"We’ve found that the market continues to be active for the purchase and redevelopment of multifamily properties," states Rob Stone, Founder and CEO of Andover Real Estate Partners. In 2018 alone Andover has closed 3 deals totaling $70 million in Southeast Michigan and will be closing on another apartment community in South Florida for $40 million in the 4th quarter. They continue to be active in Detroit and South Florida. Akerman findings show participants split almost equally behind two major elements that will define the course of U.S. commercial real estate for the next three years. Forty-eight percent of survey participants ranked the influx of new technology as one of the two most important trends for the sector, along with the biggest overhaul of the U.S. tax code in 30 years recently passed by Congress. A majority of executives surveyed stated that the creation of jobs in 2018 will be either partially or significantly higher than in 2017. And the remainder (29 percent) say it will be about the same as 2017. Very few see job creation in 2018 lower than in 2017. Top sources for equity and debt were cited as private equity and banks by more than half of Akerman’s survey participants. Akerman data shows that institutional lenders and private equity funds maintained a leading role in real estate financing in the last three years. This is a sign of further market strength and for the U.S. real estate sector after the 2008 downturn. Other popular financing sources identified by a quarter or more of executives surveyed include commercial mortgage backed securities, foreign investors, insurance companies, and real estate investment trusts. Detroit and South Florida both continue to be strong markets for investing in multifamily properties. Detroit’s surging demand for apartments shows that the city's resurgence is more than just a blip on the map and in south Florida growth continues as evidenced by strong redevelopment of student housing near university campuses. 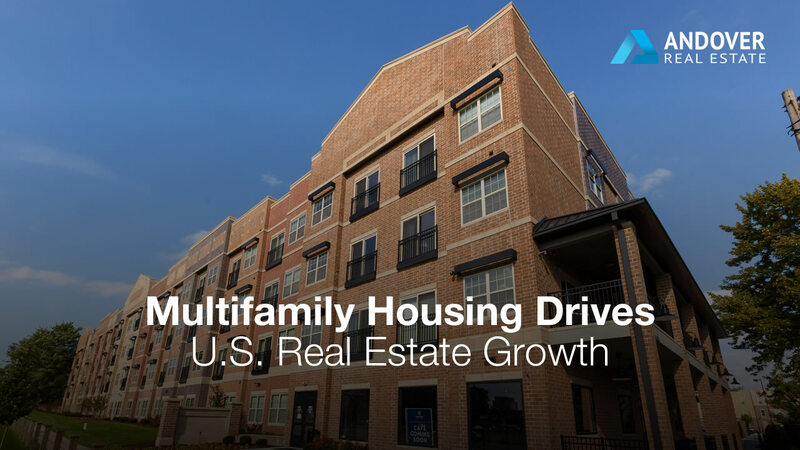 Andover Partners is positioned to ride the wave of multifamily housing to continue to do business in robust markets such as in the Midwest and South Florida and looks forward to continuing to acquire value based deals for its’ partners and investors.